Showing 1 - 15 of 20 articles tagged "Harry & Meghan: A Royal Romance"
Harry & Meghan: A Royal Romance ended with a rumor that has stuck to the Royal family for years. 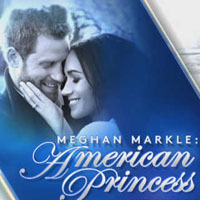 Lifetime greenlit the TV movie, airing Sunday, the same day Prince Harry and Meghan Markle announced their engagement. Smithsonian Channel, PBS, Lifetime, Fox, NBC and HBO all have special programming dedicated to the May 19 wedding.